First Friends Church has a long history in the Salem area which began during the summer of 1804 with the first public worship meeting. It was held in the cabin of Samuel Davis. About a dozen persons assembled and held a silent meeting. 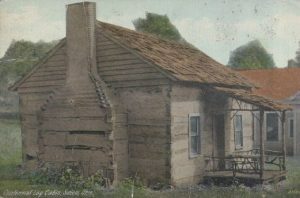 Soon after this a log meeting house was built on the south side of East State Street, near South Ellsworth. Numbers grew and the request for monthly meeting recognition was granted on September 17, 1805 under the direction of Redstone Quarterly Meeting, a part of the Baltimore Yearly Meeting. In 1813, following the formation of Ohio Yearly Meeting from Baltimore Yearly Meeting, Salem was “set off” as a Quarterly Meeting. Records show that in early 1807 plans were being made to erect a new building large enough to accommodate the quarterly meeting sessions. The agreed size was 40 x 70 feet and reportedly constructed of brick. The Friends property consisted of three acres with boundaries of Ellsworth, Second Street, Pershing, and Broadway. The first of two major separations among Friends occurred in 1828 with the result of Hicksites and Orthodox branches. The Hicksites received most of the land north of State Street where they erected a meetinghouse. The Orthodox branch (First Friends Church) retained the original section with buildings. Salem historian, George Hunt, in 1830 described the property as being boarded on three sides by horse sheds, three gates, ‘venerable meetinghouse’ (first brick building erected in the town), and burial grounds (abandoned officially in 1871). It was also reported that a school was on the site to serve the educational needs of the youth. In 1854, the second division among Friends resulted in the Gurney (First Friends Church) and Wilbur branches, known as Gurneyites and Wilburites. At that time both branches were using the same meetinghouse, at separate times. This continued for 18 years until the Wilburites, in 1872, erected a meetinghouse on Sixth Street, now referred to as the Sixth Street Meetinghouse. About 1875 there was a great Revival, many converts were brought into the meeting, and in order that they might be taught and properly cared for it seemed necessary for some person to give his entire time to that work. Thus was introduced our present pastoral system. The first pastor was Joseph H. Peele, who came from Cleveland in the fall of 1892. 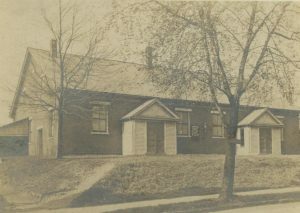 In 1909, during the pastorate of George Kent, the church purchased its first parsonage on East Third Street near North Lincoln Avenue. Also the Sunday School room was remodeled. During the pastorate of Charles E. Haworth, the meetinghouse was remodeled giving a radically different appearance when a sanctuary was added. This was dedicated January 25, 1925. The mortgage was burned in 1938. 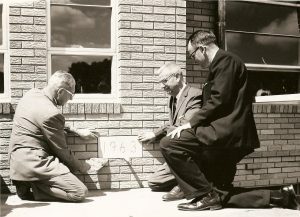 Under the leadership of Harold Winn, the church and Sunday School had a growth spurt and in 1951 a 13-room addition was added and dedicated. On Easter, 1956, the mortgage was burned for the $40,000 project. We have the distinction, under direction of Harold Winn of being the first church in Salem to broadcast live its Sunday morning worship service. This was done for several years over WFAH-Alliance. A very successful Dial-A-Prayer ministry met the needs of the community and congregation. Reverend Winn also wrote a weekly column for several years in the FARM AND DAIRY, which has been reprinted in book form. 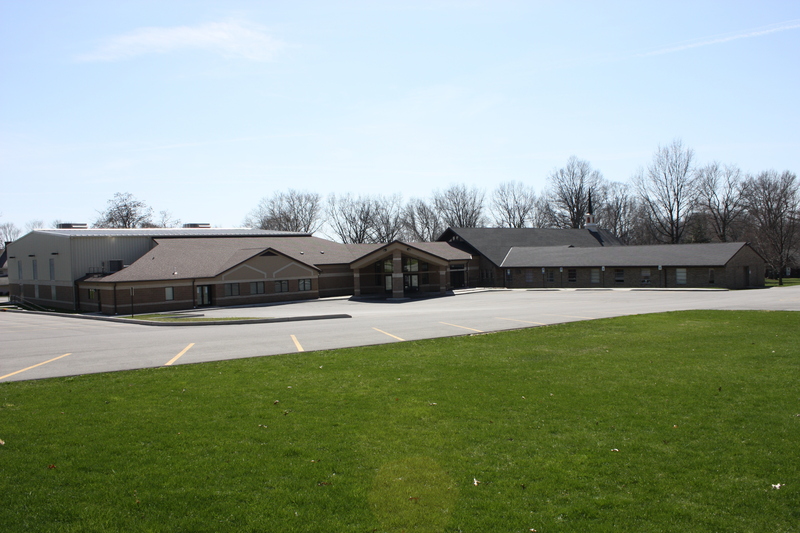 Due to additional growth and increased membership, church elders felt led to seek property for new and larger facilities. In 1959, 6½ acres on Jennings Avenue were secured. 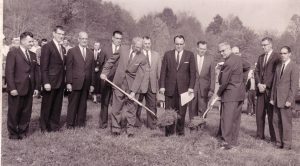 The new church land was dedicated in 1961 and ground was broken for construction on October 14, 1962. 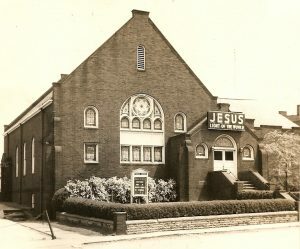 The former church on Pershing Avenue was sold in September 1962, and the corner stone laid on the new building August 18, 1963. 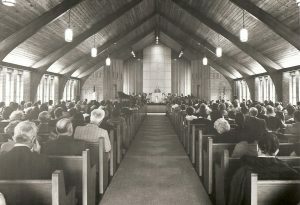 The new building was dedicated on Sunday, November 10, 1963. Exactly 50 years later, on Sunday, November 10, 2013, an anniversary service was held to commemorate their 50 years in the building. But much has changed in that time. 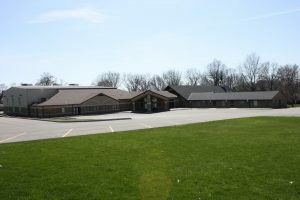 In December of 2008, work was completed on a large addition to the church building. Preliminary work had been done in 2007, but ground-breaking officially took place in early 2008. After many months of building, prayer, and expectation, the new addition was dedicated in October of 2008, and opened for usage in December. The addition includes a gymnasium that houses a high-school length basketball court with six hoops and two removable volleyball nets. Also included in the addition is a large modern kitchen capable of servicing large meals, a secure, modern nursery wing with room for 60 children, a dividable classroom that can seat a group of 60 or two groups of 30, and three handicapped-accessible bathrooms.